To find ourselves dishonorable graves...."
One thing that I have always found problematic is the grading of writers. He/she is an A list author, we are told, the other is a B-lister. Who, I wonder, makes these lists and what does it depend on? Big publishing houses, sales of the books, critics/ reviewers? I can understand this kind of grading in films where the production value can make a movie A-grader or not but books are a different kettle of fish altogether. Yes, a book can be interesting or boring; unputdownable or unmentionable; it can make you read the entire oeuvre of the writer or blacklist the author but authors in general cannot be bracketed like this. In the Golden Age of mystery writing, we are told there are four Crime Queens: Agatha Christie; Margery Allingham; Dorthy Sayers, and Ngaio Marsh. The rest are dismissed as also-rans or B-graders. To me, this doesn't really make sense. I am not the only one who hasn't been able to proceed beyond the first book of the Peter Wimsey series; Albert Campion has his champions but an equal number of detractors; I was surprised to read the first book of Ngaio Marsh, this year, because the Roderick Alleyn of that book was completely unlike the sophisticated image of his that I had in mind. And "even great Homer nods" as in Third Girl and The Moving Finger. 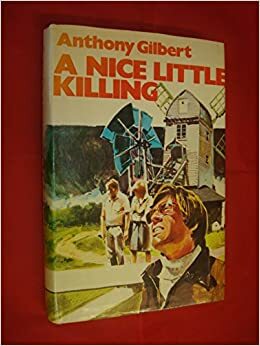 Thus it is that an author like Anthony Gilbert (Lucy Beatrice Malleson) languishes in obscurity#, shrugged off as a second-rung writer. Yet almost all the books that I have read of her have been remarkable, much more interesting and gripping than the ones lauded and talked-about. Recently, thanks to the wonderful people at Open Library, I was able to read three more of hers. And though none of them could equal her masterpieces: Death Knocks Three Times and The Clock in the Hat Box, they were nevertheless engaging reads. Murder Comes Home (1950): A young couple on their way home are called in by a doctor to witness a will. His patient is one cankerous old lady (and Gilbert's portrayal of such vinegary old ladies is masterly) who is found dead the very next day. First Line: It might be said that the affair started for Arthur Crook that unnaturally hot afternoon in early spring when London baked and sulked under a sky that would have seemed tropical in August. A fine review of the book can be read @ The Passing Tramp. Death Takes a Wife/ Death Casts a Long Shadow (1959): Helen, a young nurse, finds herself in a dilemma when she falls in love with her patient Blanche's husband, Paul French. Soon Blanche has died under mysterious circumstances and Helen has to decide whether she is so much in love that she can marry a murderer. How Gilbert manages to keep things suspenseful even when the cast of characters is so small is beyond me. First Line: 'In the midst of life we are in death,' intoned Dr. MacIntyre genially. A write-up on the book can be found here. A Nice Little Killing (1974): A Dutch au-pair, stood up by her boyfriend, returns to her employer's home only to find it burgled and worse. An interesting cast of characters though some of them are completely superfluous to the main story, as are the windmills on the cover which are there presumably because of the Dutch connection!!! First Line: The clock in the public bar of the Bee and Honeysuckle was always kept five minutes past, so that laggard drinkers shouldn't get Joe Severn, the licensee, into trouble with the authorities. #: With the British Library publishing her book, Portrait of a Murderer, a book she wrote under another pseudonym, Anne Meredith, things might change. Submitted for Friday's Forgotten Books, today @ Sweet Freedom. 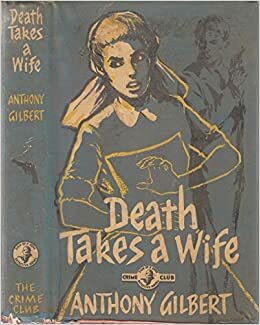 Very timely post as I have two Gilbert novels in my TBR pile, one of which is Death Takes a Wife. I agree it is a shame that is has not been so highly ranked as other female writers within the interwar years. I quite liked the book, Kate, and hope you do so too. I am also curious about the second book that you have in your pile. And I am so glad that you agree that Gilbert deserves far more prominence than that which has so far been granted to her. I couldn't agree more, Neeru, that bracketing authors doesn't do justice to some fine talents. And it's not accurate. Glad you enjoyed these novels. Oh I am so glad Margot that you agree with me on this issue which really rankles me a lot. I hate how dismissive people can be of some writers while bragging about having read those who are topping best-seller lists etc. Thanks for featuring these books by Anthony Gilbert/ Lucy Malleson. I have to read more of her books. You really must, Tracy. I wish I had more of hers to read. I don't think I've ever read an Anthony Gilbert book, Neer. So now, thanks to you, I think I will look for one or two. Thanks for the intro. And thanks John, for sharing your enthusiasm too. ANOTHER classic crime writer I've not read--you guys are giving me a complex!